Anyone else absolutely hate washing their makeup brushes? Me too. I truly despise the chore and I put it off for as long as possible, before I am truly disgusted with myself that I've used dirty brushes for way longer than acceptable and I am forced to wash them. Anyway so I've been trying out this new brush cleanser from Real Techniques and thought I would give you my review on it as I love the brushes from this brand so much. I haven't heard or seen much about this so I hope this gets a lot more love soon. 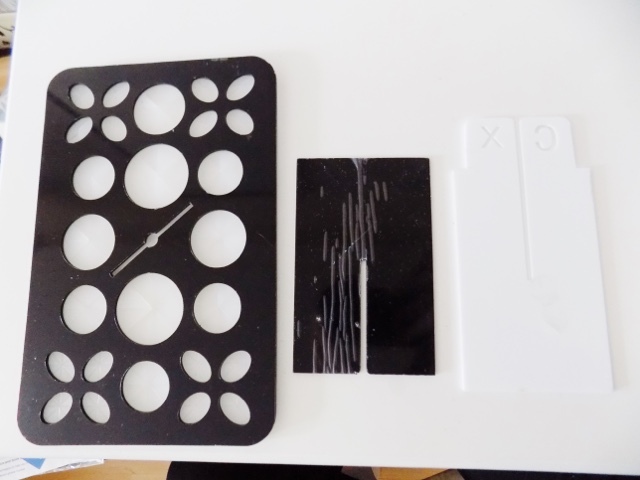 Hint: If you still have the little black travel case the Real Techniques Brushes come in, you can fold it horizontally rather than vertically and use that to stand your brushes in to dry, pretty nifty. I tried it on a variety of brushes, Real Techniques Bold Metals as well as the original collection including eye brushes, their fairly new Sculpting Brush and a Duo Fibre one too. I also used it on the Multi Tasking Brush from Look Good Feel Better (i.e. my new favourite brushes) which worked great too. 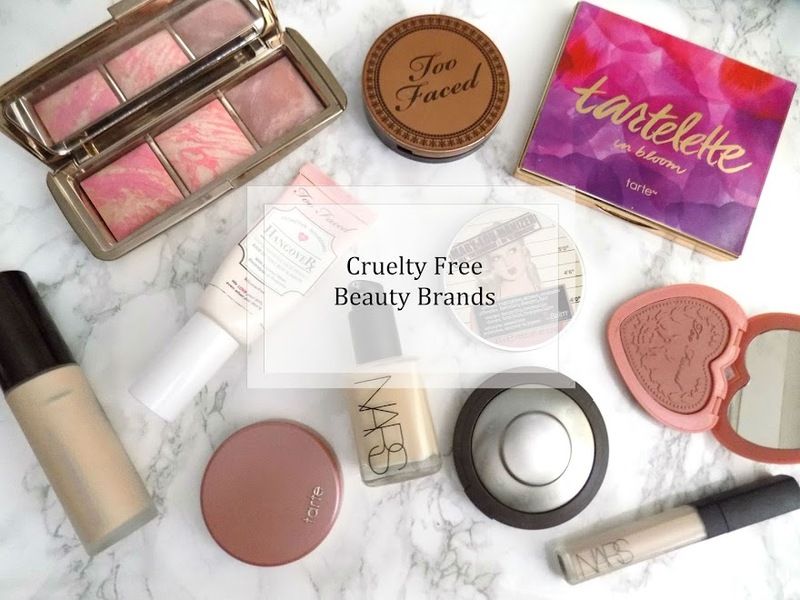 It removed foundation and concealer off my foundation brush pretty effortlessly although I had to apply more of the gel to the bristles and really work it in with my fingers, and then made sure I rinsed it properly. But even then it was still much quicker than just using a regular soap or baby shampoo like I used before. It removes makeup residue you can see but then it also removes impurities and dirt you can't see. This product makes washing your brushes a quick jobby, with little mess or fuss, I mean what more could you ask for? 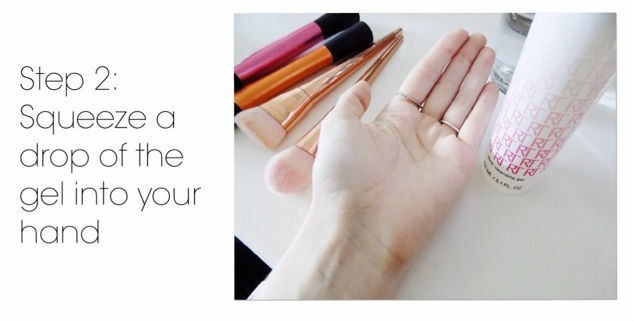 It's a gentle formula, it hasn't caused any of my brushes to shed and they're just as soft as when they were new. It's a clear gel which has a light, pleasant scent, nothing too harsh or over powering and there's no alcohol or phthlates. This is for deep cleaning your brushes, but it takes practically no time at all and makes washing my makeup brushes not so much of a chore, especially as I have so many. They recommend to use this weekly to keep your brushes clean and bacteria-free (extra important if you have problems with your skin and breakouts) plus this makes lighter work than to do your entire brush collection after exhausting all of your options (and brushes) before you have to wash them. I found that especially with the Bold Metals Contour Brush I really had to rinse it a few times as there was some soap residue left behind but I didn't really have that issue with any of the others but it could have been because I used too much. Which is another point to touch on, you barely need any, just a small drop in the palm of your hand (or a textured surface for and extra deep clean) so this huge bottle will last a long time and it's super affordable at only £7.99 from Boots. If you want to see a video on how to use this brush cleanser then here is the one from Sam and Nic, who are the owners of Real Techniques and the awesome range of products they have. Overall I think it's an amazing product and I highly recommend giving it a try and see what you think. Besides, who doesn't like the look and feel of freshly washed brushes? 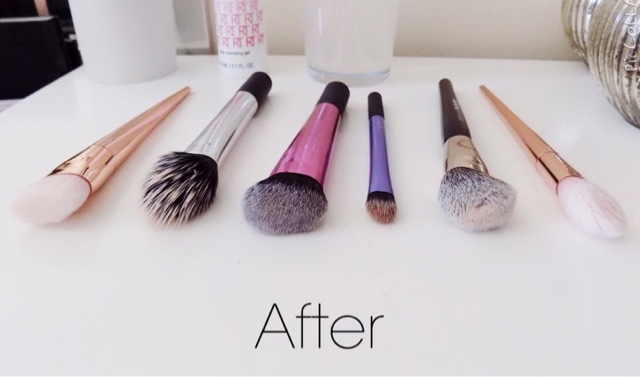 - It's incredible satisfying to see them in your brush holders all nice and clean, right? 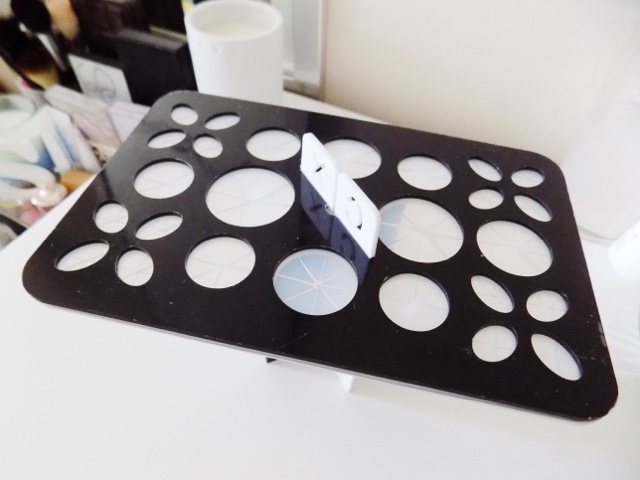 ...is a brush stand which I got from Amazon. Once you have washed your brushes, you can pop them in here, upside down, and leave them to dry. It's important to leave your brushes upside down or on their side so the water doesn't drip into the ferrell and break away the glue and leave you with shedding brushes. 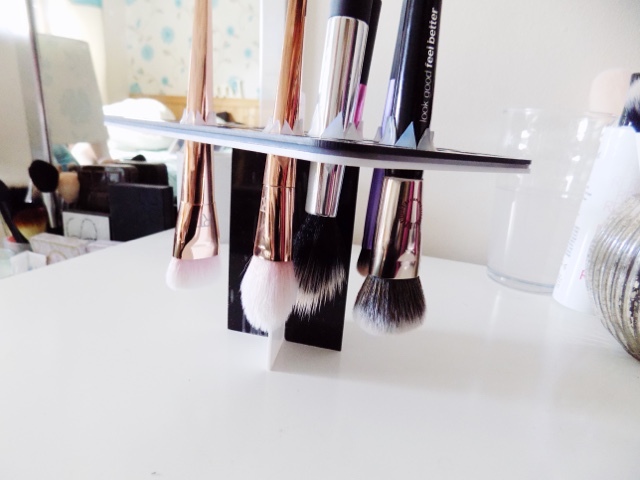 ...Your very own brush stand to dry your brushes. The Bold Metal Brushes fit in here as well as the larger handle real techniques brushes and even the small eye brushes that you can get fit in the smaller slots. Awesome right? 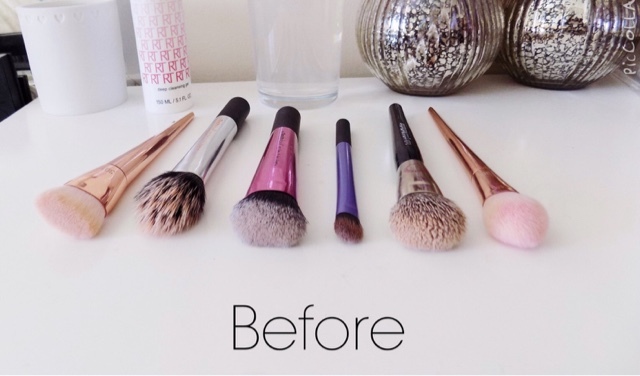 If you have a regular size makeup brush collection then one of these is suitable. I have a ridiculous amounts of brushes so I think I would need 10 of these, no seriously. Anyway, thought I would include this in here as it's a pretty cool thing to have and if you want to get one then here is one the same as what I purchased here. What is your favourite brush cleaner? Thanks so so much for the review! I have been wondering how this cleanser works and I will definitely get it! Thankyou for reading :) Glad you liked it. It's a cool product and it's very affordable.